This class gives Mamma warm fuzzies all over. 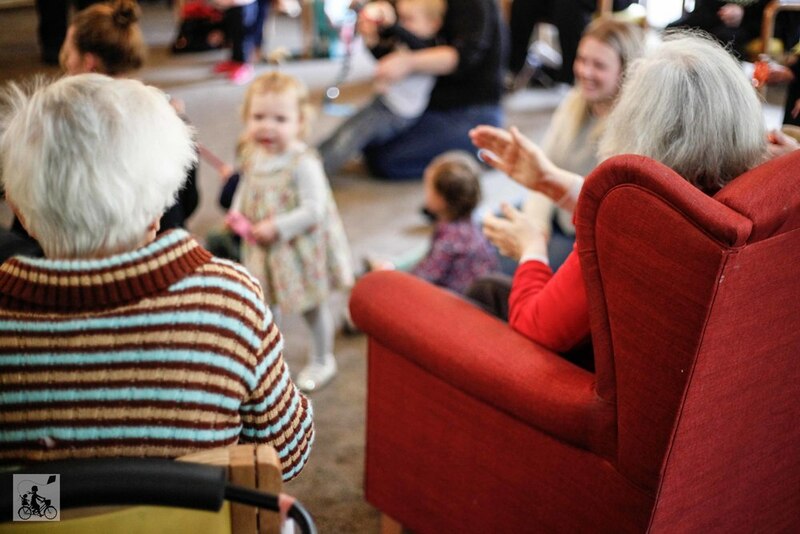 Welcome to intergenerational playgroup. 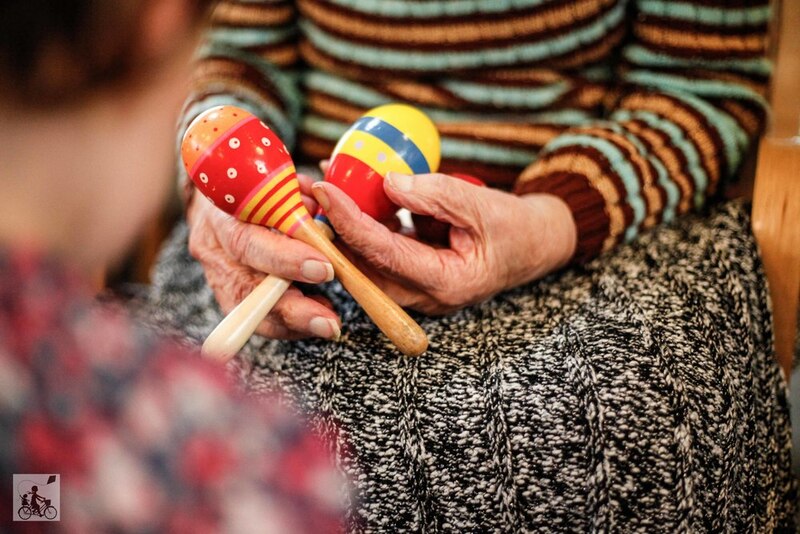 A music class conducted in the community lounge of an aged care facility. Sonja from Hey Dee Ho Music brings her bag of musical tricks as well as bringing together participants on both ends of the age scale. 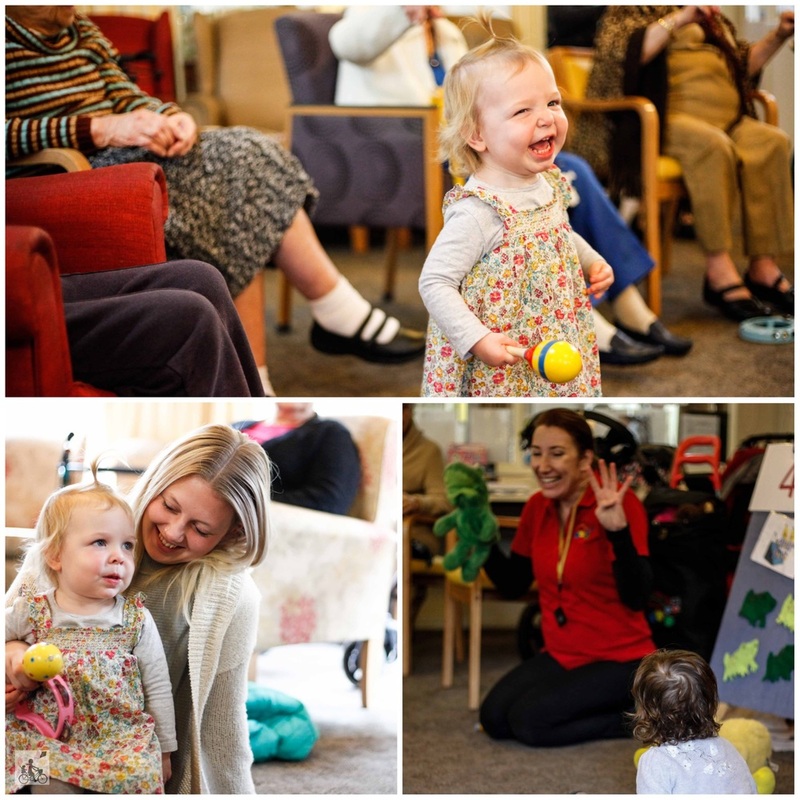 The residents are invited to participate as much as the children as we sing, dance and make music together. Although hesitant at first, little ones begin to mingle with their elders and share the fun. The smiles are incredible and the joy that fills the room is...well just beautiful. There is a brilliant mix of tunes from the Rockin' Robin to the nursery rhymes, singing do-re-mi and grooving to the hokey pokey, even the staff have a good boogie. 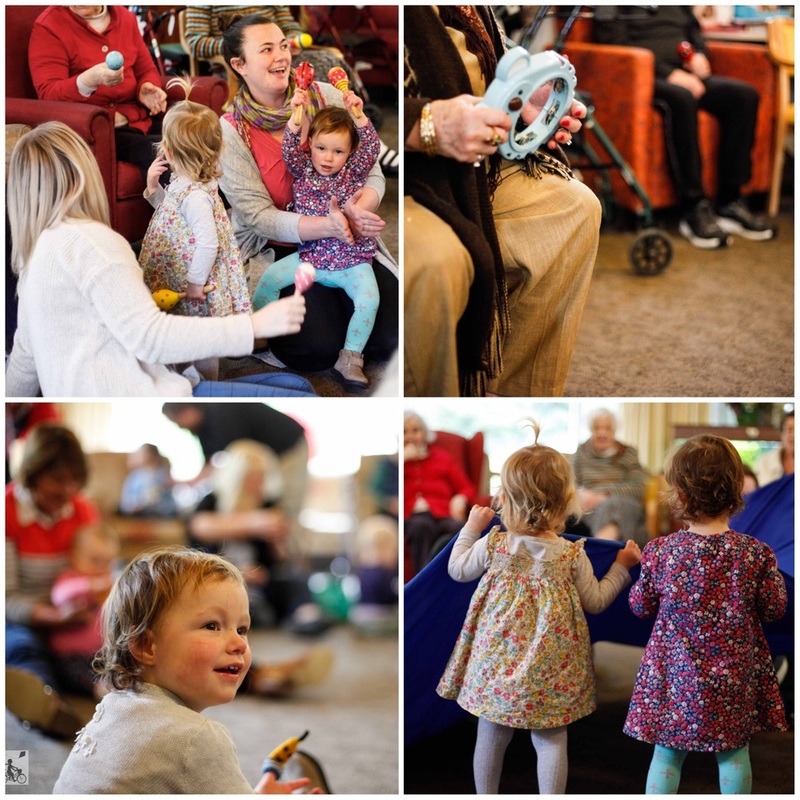 Mamma can imagine that these session would be simply beautiful for those little kids who might not have grandparents around or living close, but definitely beneficial for the residents to sing and play with the next generation. Sonja runs sessions on the second Thursday of the month at 10:30am. It is a FREE session, however it is important you book in to ensure there are enough numbers. The program runs for roughly an hour but you might find it difficult to leave with so many beautiful people to chat to. Mamma's special mention: Sessions are planned at venues throughout Melbourne. Check the Facebook Page to RSVP and confirm dates.